In this communication, we consider and study a generalized two parameters entropy of order statistics and derive bounds for it. The generalized residual entropy using order statistics has also been discussed. for details refer to . In Section 2, we express generalized entropy of order statistics in terms of generalized entropy of order statistics of uniform distribution and study some of its properties. Section 3 provides bounds for entropy of order statistics. 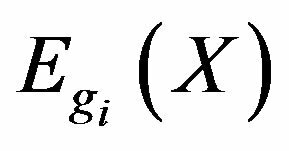 In Section 4, we derive an expression for residual generalized entropy of order statistics using residual generalized entropy for uniform distribution. is the Shannon entropy . Using (6) in (5), the desired result (4) follows. a result derived by Ebrahimi et al. .
components out of components function. 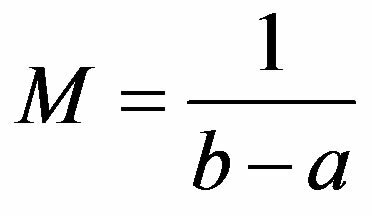 If denote the independent lifetimes of the components of such system, then the lifetime of the system is equal to the order statistic . The special case of and , that is for sample minima and maxima correspond to series and parallel systems respectively. In the following example, we calculate entropy (4) for sample maxima and minima for an exponential distribution. which is also independent of parameter . In this section, we find the bounds for generalized entropy for order statistics (4) in terms of entropy (2). We prove the following result. 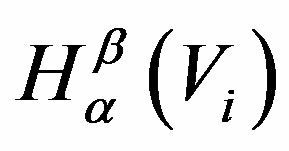 where, , and is the mode of the distribution and is pdf of the random variable . We can check that the bounds for are same as that of . Here we observe that the difference between upper bound and is , which is an increasing function of n. Thus, for the exponential distribution upper bound is not useful when sample size is large. Obviously, when , it reduces to Shannon entropy. where . When , it reduces to (2). and are known as the beta and incomplete beta functions respectively. In the next lemmawe derive an expression for for the dynamic version of as given by (6). Putting values from (11) and (13) in (16), we get the desired result (15). If we put in (15), we get (6). 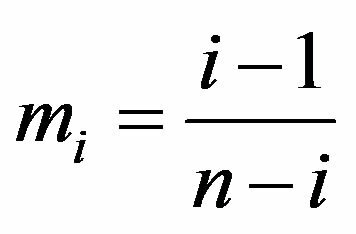 Using this, in the following theorem, we will show that the residual entropy of order statistics can be represented in terms of residual entropy of uniform distribution. and above lemma, the result follows. Take in (17), it reduces to (4). So, in the exponential case the difference between generalized residual entropy of the lifetime of a series system and residual generalized entropy of the lifetime of each component is independent of time. The two parameters generalized entropy plays a vital role as a measure of complexity and uncertainty in different areas such as physics, electronics and engineering to describe many chaotic systems. 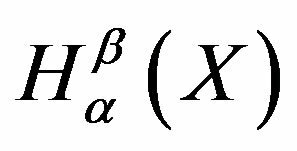 Using probability integral transformation we have studied the generalized and generalized residual entropies based on order statistics. 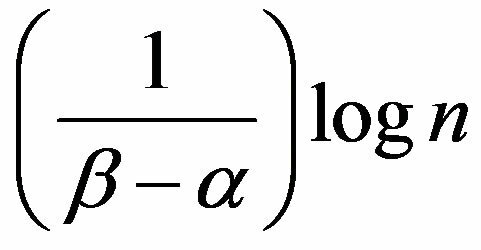 We have explored some properties of these entropies for exponential distribution. The first author is thankful to the Center for Scientific and Industrial Research, India, to provide financial assistance for this work. B. C. Arnold, N. Balakrishnan and H. N. Nagaraja, “A First Course in Order Statistics,” John Wiley and Sons, New York, 1992. E. H. Llyod, “Least-Squares Estimation of Location and Scale Parameters Using Order Statistics,” Biometrika, Vol. 39, No. 1-2, 1952, pp. 88-95. E. Ataman, V. K. Aatre and K. M. Wong, “Some Statistical Properties of Median Filters,” IEEE Transactions on Acoustics, Speech and Signal Processing, Vol. ASSP-29, No. 5, 1981, pp. 1073-1075. C. E. Shannon, “A Mathematical Theory of Communication,” Bell System Technical Journal, Vol. 27, 1948, pp. 379-423 and 623-656. S. Kullback, “Information Theory and Statistics,” Wiley, New York, 1959. A. Renyi, “On Measures of Entropy and Information,” Proceedings of the Fourth Berkeley Symposium on Mathematical Statistics and Probability, Berkley, 20 June-30 July 1961, pp. 547-561. R. S. Verma, “Generalization of Renyi’s Entropy of Order α,” Journal of Mathematical Sciences, Vol. 1, 1966, pp. 34-48. N. Ebrahimi, “How to Measure Uncertainty in the Residual Lifetime Distributions,” Sankhya A, Vol. 58, 1996, pp. 48-57.